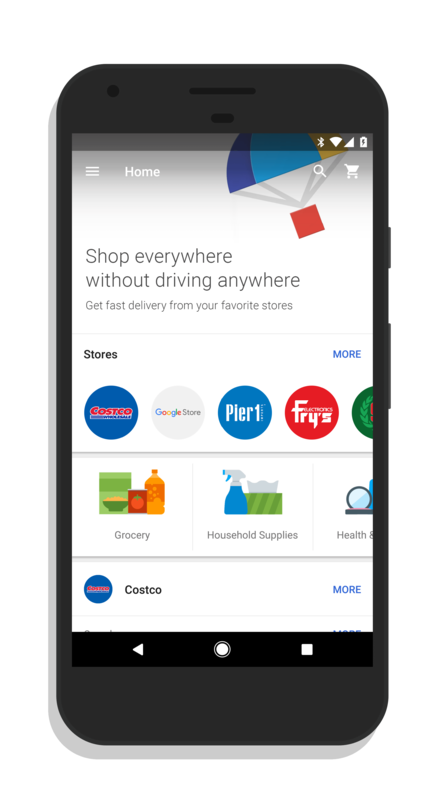 The shopping app Google Express has been updated for Android today, bringing the ability to edit and access your shopping lists while you are offline. For those who may not know, Google Express is a shopping app that allows you to shop over 30 stores like Costco, Whole Foods and Target and have those purchased items delivered to your home. The service has next day delivery in most areas and is free shipping for those who have a membership. That membership is $10 per month but is not required to use the app – you’ll just pay shipping. The updated version of the app is 18.0 and once you have it, you will be able to access your shopping lists and edit them while you are offline. Think of that thing you need to buy while on a flight? No problem. Open the app update, add it, and it will sync up with the service once you are back online. to pick substitutions has been removed in the app. There is also an improved signup process for those who want to try the membership & you can try it for 90 days and cancel for free (one time trial only). Express is now the main app used when you leverage Google Home and Google Assistant to add things to a shopping list so it is possible, if you have a Google Home, that you have been using this app anyway and maybe didn’t know it. Even if you don’t though, the app does make finding items and purchasing them quick and easy. Google Express is a free app in the Play Store to download.